After last week's spree, I had to become content with window shopping. The bad thing about having a mini shopping spree is that it's addicting. Last week I said I don't typically like malls, yet I found myself at one again today. I have a good excuse though: we're going to a wedding tomorrow and I needed to get a gift. So, aside from the gift for the newlyweds and 2 magazines, my venture to the mall was merely an excuse to take photos. Fits my little camera, cell phone, CC and DL and car keys. My oldest friend is getting married tomorrow; we go back since the 3rd grade. We were the very best of friends till high school graduation, but with college and different life choices, our paths went in opposite directions. We made efforts to maintain our friendship because we had so much history together, but her judgments regarding my spiritual path were too heavy for her and she couldn't put our differences aside and accept me for who I am. I was a heathen destined for hell because I chose to see, learn and believe more about alternate views on faith and not base my spirituality solely on the writings in the Bible and the United Pentecostal Church. My beliefs are simple, God is Love and God is in all things so love is in all things. God created all of us equal, not just all Christians as equals. I'm happy that she finds strength and comfort in her faith and that she's so passionate about it. I even understand her concerns about me - she doesn't want me to go to hell. I just find her to be close minded and judgmental and unwilling to accept people for who they are. But I'm happy with where I stand and where I am growing spiritually. I'm still searching for answers, every day. But I do know that her path definitely is not my path. I accept that, but I don't know if she can. It's odd to me the direction of where this post went. When I first started the paragraph about going to the wedding tomorrow, I initially was going to question what I was going to wear. The female parishioners can't wear pants and don't cut their hair or wear make-up. Sleeves can't be any shorter than 3/4 length, no elbows showing. The men also can't show elbow, short hair and no facial hair are required. I don't know what I'm expected to wear. How formal of a wedding is it going to be? It's an evening wedding, but on a Friday and it's both their 2nd marriages. I have 3 skirts, all of them casual, but that's what I've got. No dresses. I suppose I'll figure something out, but I'm definitely wearing make up. Ha! Funny how religious she is and yet this is her second marriage. Sorry, not funny I guess just typical of the contradictions I saw as a kid growing up in a penecostal church. My theory is god gave us a brain for a reason. It shouldnt be checked in. You find your own way in this world. Great post, lovely bag and I adore Sur La table...I've been coveting those bee drinking glasses for years and years. But the hubs won't let me pay $50 for 4 glasses that the kids will probably break, lol. I love the birdhouse shot, makes me giggle. 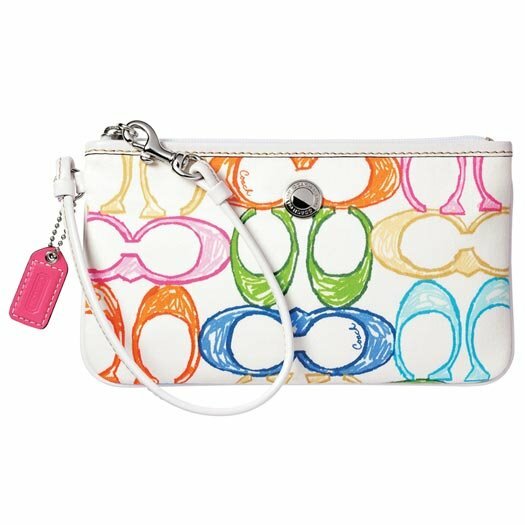 And the purse, OMIGOSH, I want it. I want it. As for dressing, it's your call. Right? I'm almost surprised that you got invited to the wedding. With a little more acceptance of differences, this world would be such a happier place. Good luck. I hope to hear how the evening turned out! I see why I'm reading your blog and not hers.